My earliest attempts at operating the trains outdoors. Up to this point we had been operating them inside seasonally starting in 1987 and then with a very short. linear wall mounted setup. These were both temporary throw-down-the-track-and-run-it layouts in the back yard. 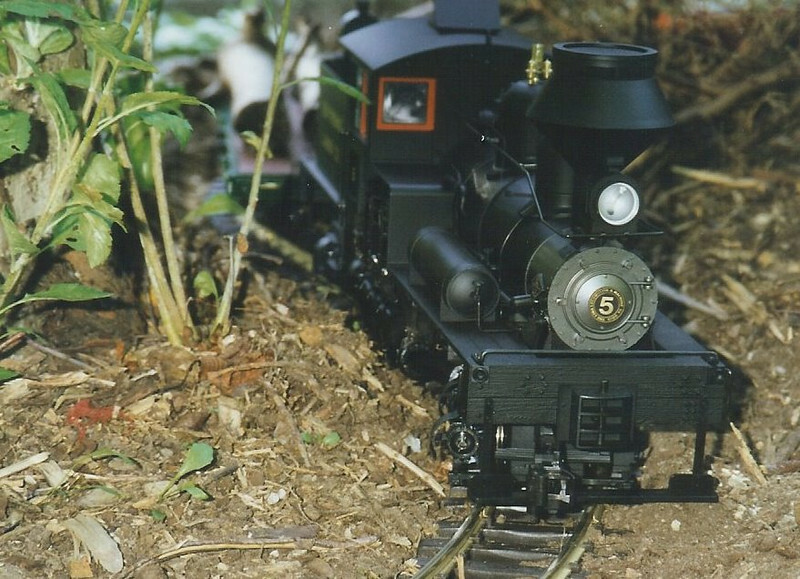 Summer of 1997, a brand new Bachmann two truck Shay. I'd long been fascinated with geared locomotives and when this went on sale I immediately snapped one up. It was the motivation to begin the process of moving the trains outside.